Restaurants have really come a long way in Scottsdale. I had an opportunity to revisit one of my favorite, Cowboy Ciao yesterday. It again surprised me with a variety of flavors. Well known food blogger, Noshtopia joined me in the fun. 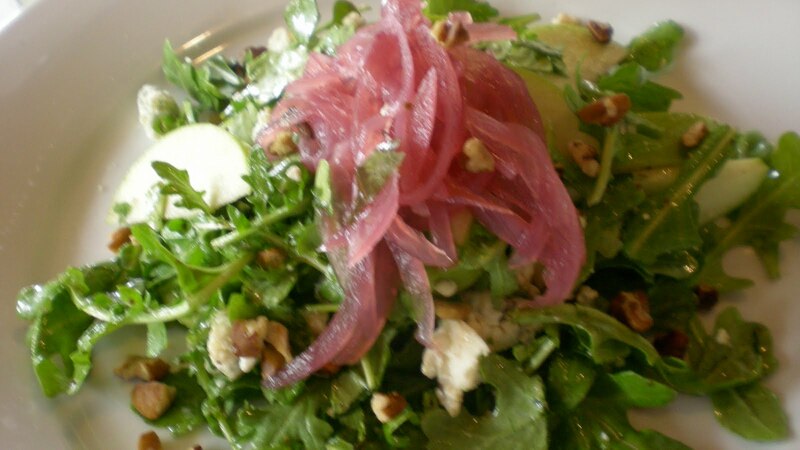 Started with the Johnny Apple – green apples, pecans, pickled onions over arugula. 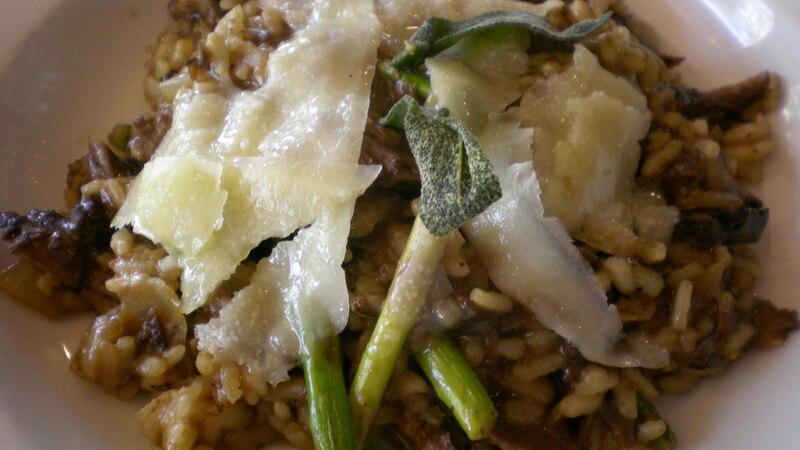 Entrée Braised Pork Rib over Risotto with Truffles delicious! Big Finish was a Cuppa Red Hot Chocolate —-beyond heaven! I enjoyed the stimulating conversation with Noshtopia about food, food allergies and how to eat well and not swell.The last time I enjoyed Cowboy Ciao was several years ago; and returning to lunch was as special as ever. I’ve been staying at a new place in Scottsdale called the 3 Palms which is a swanky converted motel. Next door to the 3 Palms is the Avalon. The Avalon was a big surprise for me. In the middle of the desert is a modern European styled restaurant with all the charm of big city food. I specially enjoyed the Roasted Beet Salad with Figs and goat cheese. 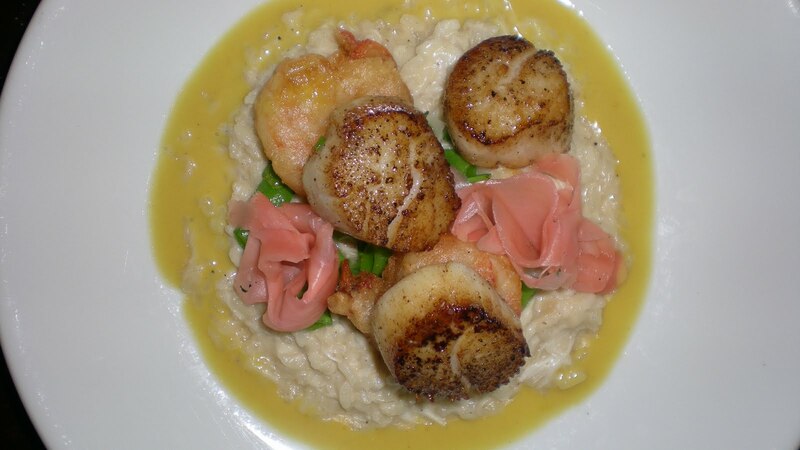 Enjoyed the Seared diver scallops with blue crab risotto, gulf shrimp tempura, and the kicker is ginger fresh ginger emulsion. The wine list is inspiring and holds a variety from the world over. Even boosts a delicious South African Rose. 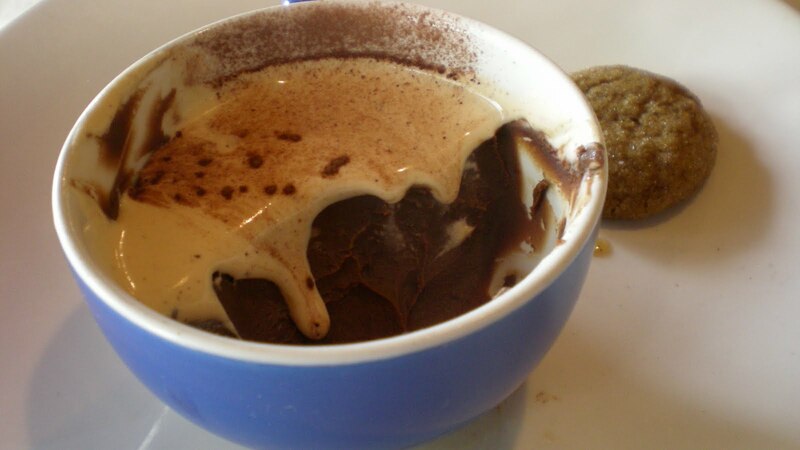 OK – the Cuppa Red Hot Chocolate looks like Sin-In-A-Cup! Gorgeous! !